Walk-in coolers are a major investment for many commercial food operations, such as restaurants, convenience stores, supermarkets, and cafeterias. Without proper installation and maintenance your walk in cooler investment can turn into a liability that will cost you unnecessary time and money and even jeopardize your business. Proper walk in cooler maintenance is the single most important thing your equipment needs to stay running at its peak performance. That means a walk-in cooler else needs to have its condensing units kept clear and with adequate airflow to maintain peak Westminster, MA walk-in cooler performance. Your walk–in cooler or freezer is a very large electro–mechanical appliance with moving parts and controls. To keep it running optimally, it’s important to have your walk-in cooler maintained regularly by a trained professional such as the walk-in cooler experts here at Young’s Cooling & Leasing — our pros are here to help with all of your annual walk-in cooler maintenance needs. Why is maintenance for your walk in cooler so important? It helps keep the entire appliance in good working order, which is critical for your business. Also, the thorough inspection your unit will undergo enables our walk-in cooler technician to detect any existing or developing issues and get ahead of them so they don’t become major problems. We offer many different preventative maintenance programs for walk-in coolers to fit a wide range of commercial and industrial needs because we know that different businesses have different requirements for walk in coolers throughout Central New England. We offer SET and KE2 Therm energy management controls for walk in coolers and walk-in freezers. 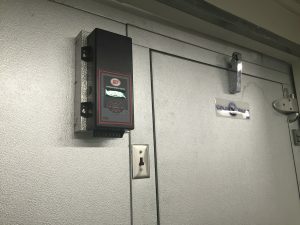 These walk-in cooler controls are the only controls that provide true energy savings while protecting your refrigeration equipment. To learn more about walk-in cooler installation and maintenance, contact us today.